MIUI 8 OS global beta release is live now. 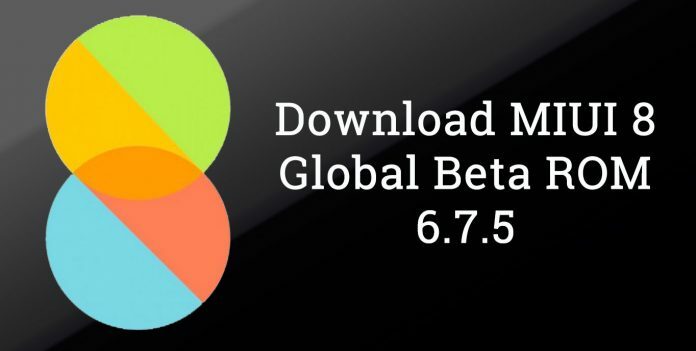 You can download the complete MIUI 8 Global Beta ROM 6.7.5 from the links provided below. Please make sure that you download the correct files according to your device. Currently, MIUI 8 is available for Redmi Note 3G, Note 4G, Redmi Note prime, Redmi 2 and Mi Max (32GB). Before flashing MIUI 8 ROM in Mi Max, the users need to unlock their phone first, other device owners can directly flash the provided zip files. As mentioned, this is only the beta version of MIUI 8, and the final version is yet to be released by the officials. Therefore there might be some bugs and errors in the ROM. According to the officials, the first stable MIUI 8 OTA will be pushed on 16th August. The update for other Mi devices like Mi 2/2S, Mi 3, Mi 4, Mi 4i, Mi 5, Mi Note, Redmi 1S, Redmi 2 Prime, etc will be released later on. **Links removed due to high traffic load on servers. Download the respective recovery ROM file from the links provided above. Place the downloaded zip file in your phone root. Make sure you won’t put it inside any folder. Now open the “Updater” application in your phone and select “Reboot to Recovery mode” in the options menu. After you are booted to recovery mode, select “Install update.zip to System One” by using your volume and power key. The update process will start automatically. After the process is complete, select “Reboot to System One”. That’s it. MIUI 8 is a major upgrade over MIUI 7 and comes with many new and advanced features like dual app support, long screenshots, new calculator, redesigned gallery, etc. If you are not interested in flashing a beta version, then you should for the stable OTA update. Please note that we are not responsible if you soft-brick your device while flashing the ROM. Please proceed at your own risk. Make sure you have taken the complete backup of your data and your phone is at least 70% charged. To get more updates on MIUI 8, stay tuned with us.